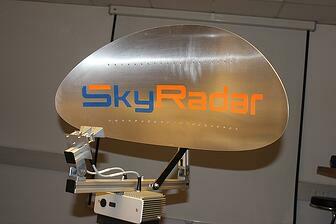 SkyRadar provides a system to teach, research and experiment on Radar Technology. By using SkyRadar’s software (defined below), the Customer agrees to comply with and to be legally bound by these terms and conditions. These Terms govern the ownership and the use of the SkyRadar system, the SkyRadar proprietary software and content (defined below), third party software (defined below) as well as all Customer software (defined below), and constitute a binding legal agreement between the Customer and SkyRadar. SkyRadar System is the entirety of hardware, software and content provided by SkyRadar. SkyRadar Proprietary Software embraces all code that SkyRadar provides with the system at time of installation or through updates, excluding any third party software, services, APIs or content. It explicitly includes the configuration of third party software. SkyRadar Content embraces all educational material as well as technical documents and guidelines, provided by SkyRadar. Third Party Software and Content embraces all code and content provided with the system at time of installation or through updates, which is of third party origin (e.g. operating system, dlls). SkyRadar Software Applications is SkyRadar Proprietary Software or Third Party Software deployed within the SkyRadar System and made accessible via a user interface. In those software applications, all code is non-accessible to the end user, apart from the code delivered to the browsers of the client computers. Customer Software embraces all code produced by the Customer that interacts with the externalized standard interfaces, provided by SkyRadar. The SkyRadar system is intended solely for the use of education, experimentation, research and data acquisition. Any access to or use of the system, software or content in an operational context, may it be air traffic control or military purposes, is prohibited. The Customer purchases the SkyRadar system in the configuration as specified in the corresponding technical offer. The SkyRadar system is protected by copyright, trademark, and other laws of Germany. The Customer acknowledges and agrees that all associated intellectual property to the SkyRadar system and related software or documents is the exclusive property of SkyRadar and its third party providers. The Customer will not remove, alter or obscure any copyright or other proprietary rights notices incorporated in or accompanying the SkyRadar system, SkyRadar Proprietary Software and Content, or Third Party Software and Content. According to the Customer’s compliance with the terms and conditions of these Terms, SkyRadar grants the Customer a limited, non-exclusive, non-transferable right and license to use the SkyRadar proprietary software and content described above solely in the manner and for the purpose described in these Terms. The Customer purchases the right and license to use the provided software. Therein, neither the time of use nor the number of concurrent users is limited. The latter, however, is limited by the system’s technical capacity of handling concurrent users and concurrently instantiated applications. The Customer shall not make any modification to the SkyRadar proprietary software without written permission by SkyRadar. The Customer may copy any of the provided proprietary software and content for backup purposes only and for the exclusive use of the Customer. Copies produced to be handed out to third parties are explicitly not permitted. The Customer must not sell or sublicense the proprietary software and content without written permission of SkyRadar. He may however sell the SkyRadar System in its entirety. He is also entitled to apply the SkyRadar System including its software and content in the context of commercial services or consulting. In particular, he has the right to train third parties (e.g. RAF) and to use the equipment for industrial research projects. For the purpose of training, education or advertisement, the Customer may provide students and non-subscribed external users with access to the Software Applications or parts thereof via internal networks or via the Internet. The Customer is entitled to use the proprietary software to operate at own risk third party antennae or software, when using the provided standard interfaces. The Customer owns all data produced with the software (e.g. radar raw data) and with connected radar equipment. The Customer is solely responsible for compliance with any and all laws, rules, regulations, and other obligations that may apply when using the SkyRadar system. SkyRadar explicitly points to the restrictions concerning the emitting of secondary surveillance frequencies (in particular carrier frequency 1030/1090 MHz). SkyRadar respects copyright law and does not claim any ownership rights over Third Party Software. SkyRadar expects its Customers to do the same. For all third party software (e.g. operating system), the terms and conditions account as communicated by the license owner. The Customer owns all rights for Customer software. The Customer acknowledges and agrees that he is solely responsible for Customer software, in particular for any damage caused to the system by Customer Software. The Customer agrees that SkyRadar, its subsidiaries, officers and employees, will not be held responsible for any third party claim, demand, or damage, including reasonable attorneys’ fees, arising out of the Customer’s use of the system. In case that a specific clause in the contract is invalid the validity of the remaining clauses is not affected. The Customer and the SkyRadar will work together to replace inapplicable paragraphs s as far as possible. These Terms will be interpreted in accordance with the laws of the Federal Republic of Germany.